Hello and welcome to #30in30 Version 2013! I am so jazzed for the giveaways this year! Local businesses, services, artists and shops have got some great gift ideas (and of course, giveaways!) to share with you this year. There are a few new stores participating and you’ll be very excited once you see who they are! #30in30 this year is focused on GIFTING! Gillian Goldie has created banners for me to help showcase the great gift ideas that each store has available to you. Check them out on the sidebar under the #30in30 – Gift Ideas For…. heading as well as tagged at the end of each blog post. The details are the same as last year – enter at the bottom of each post using the rafflecopter widget. If, for some reason, it isn’t loading please click the link that will be there in place of the widget. Although not required, you’ll find that you get the most entries to the giveaways by following each participant on Twitter, Facebook and Instagram. You’ll get bonus entires if you share the giveaway on social media and sign up for newsletters. You’ll get EVEN MORE bonus entires if you visit the participating store and snap a photo of yourself there. And with that – I will introduce the first giveaway! Even though Local 107.3 FM doesn’t sell anything, they are an amazing supporter of the arts & culture community in Saint John. 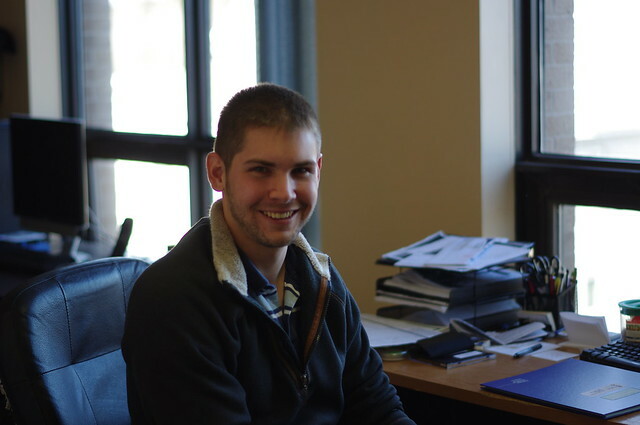 Read before for an interview with Brian Cleveland, station manager. (And yes – there’s a killer giveaway at the bottom of the post). Hi Brian! Tell me about yourself and what you do. Hi Barb! I am a young Certified Human Resources Professional working on his passions daily at Local 107.3fm and many volunteer ventures in the beautiful city of Saint John. I began at Local-FM (then CFMH) as a volunteer in 2005 and began working as Station Manager in 2008 and haven’t looked back since. I am now heavily invested in the community radio world and am currently on the Board of Directors for the National Campus And Community Radio Association. I grew up in the Greater Saint John area and am constantly impressed by the positive stories happening in our city everyday. The growth of local support and ideas is often my inspiration. 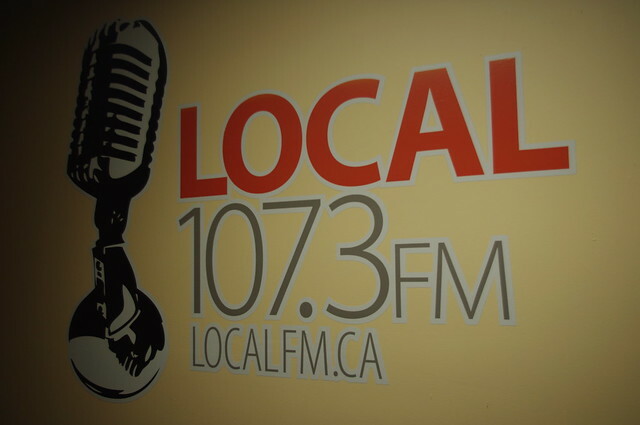 What is the main function of Local 107.3 FM? 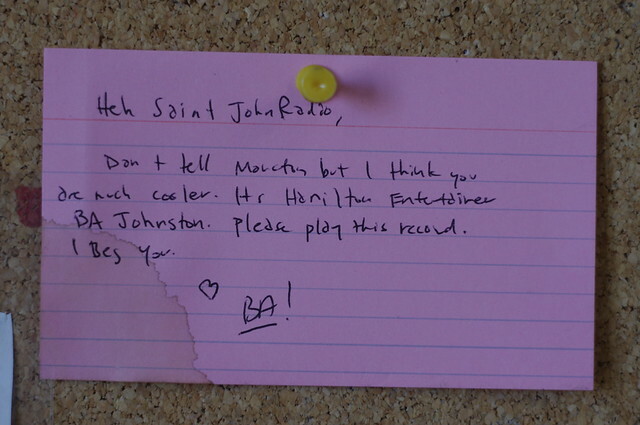 Local 107.3fm is a non-profit community-based campus radio station on the University of New Brunswick, Saint John campus. 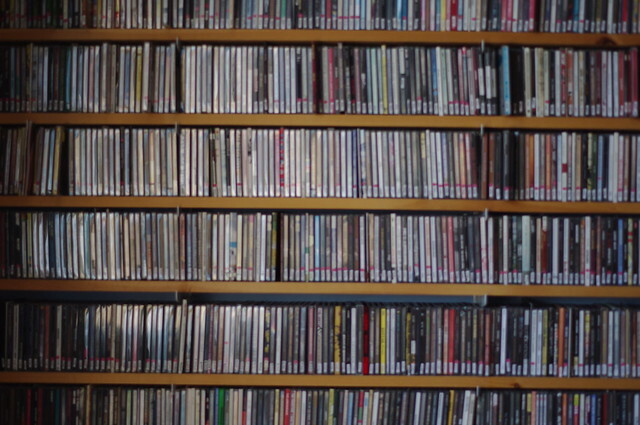 Community radio is an alternative model to commercial and public broadcasting and, as such, aims to serve a local, specific audience by enabling individuals, groups, and communities to become creators and contributors of media. Community radio is here to facilitate community access to programming, promote and provide ongoing training, and offer diverse programming of new and emerging local talent, spoken word, and local information. Close to one-half of our volunteers are students and a majority of our volunteers are artists, political and social activists, and members of civil society organizations and grassroots movements. Who is your typical listener? I think the best part about community radio is that there is no such thing as a “typical listener” because there is no such thing as a “typical DJ/program”. Where commercial media often focuses on targeting a very specific demographic or community of interest, community radio is as diverse as the community it aims to serve. 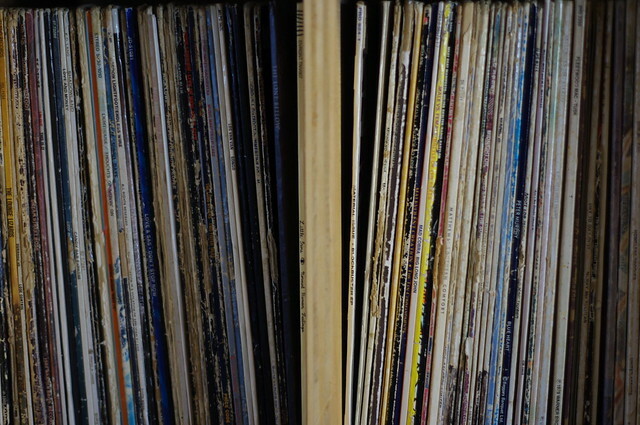 Our programming runs a gamut of musical genres (rock/pop/hip-hop/loud/folk/roots/blues/jazz/etc. ), languages, and special topics (political, environmental, cultural, sustainability, etc.). This is why I always encourage people to check out our schedule (available online here) If the program currently on-air isn’t to your interest, there’s a good chance that the next program will be 100% different. In my personal life, the most exciting thing was my wedding in July. 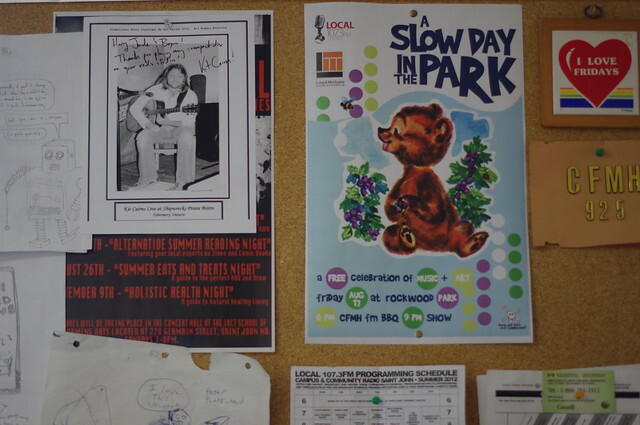 At Local-FM, 2013 has been a very busy and exciting year. We applied for and obtained multiple grants which increased our capacity to create excellent programming while delivering top-notch skills training on state-of-the-art equipment, and also create direct investment into our community through job creation. We only have two regular full-time employees, but, at one point this past summer, we had six employees! We have run several successful iterations of existing Local-FM fundraising events. This includes I Love Livin’ In The Port City III and IV as well as Bandwich 2013. Bandwich 2014 is tentatively scheduled for late May while I Love Livin’ In The Port City V will take place on Friday, March 28, 2014. We also held our 6th annual Community & Arts Appreciation BBQ in July and the 6th Annual Keggnog is scheduled for Wednesday, Dec. 4, 2013. The Top 107.3 Records of the Year Countdown will see it’s 7th edition on January 1, 2014. 2014 and beyond is looking to continue the upward trend of development at Local-FM as board, staff, and volunteers have developed a strong 5-year strategic vision. Furthermore, Local-FM will host the 2015 National Campus and Community Radio Conference (NCRC), an annual national gathering of ~100 community-oriented radio broadcasters who provide alternative radio to a diverse audience. The conference has been offered every summer since 1981 and is hosted by a different radio station each year (we last hosted in 2002). During the conference, delegates attend workshops, seminars, the annual general meeting of the NCRA , seminars, live shows, and feature presentations. My work schedule is very flexible, but my typical day involves arriving at the station early in the morning and working on a myriad of different tasks related to running the business and being on-air on Mondays and Fridays. I am also heavily involved in other organizations and boards (NCRA, Saint John Volunteer Centre, SJ Community Garden, Third Space, IWK, etc) and often have meetings or work involved with them in the evenings. Otherwise, I try to make time to take in live music, cook, relax, and be active. 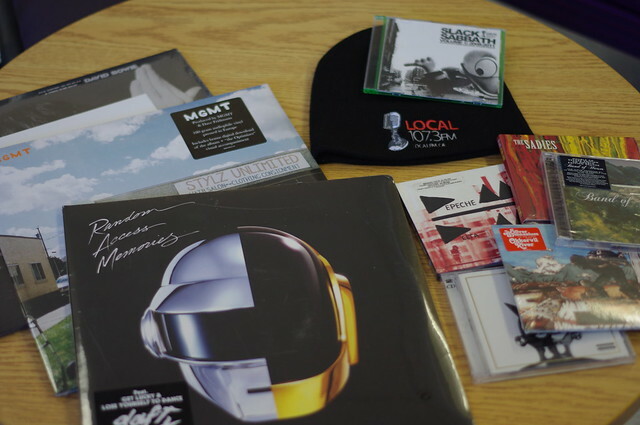 For all of the music lovers in your life, Local 107.3 FM has put together a sweet prize pack! 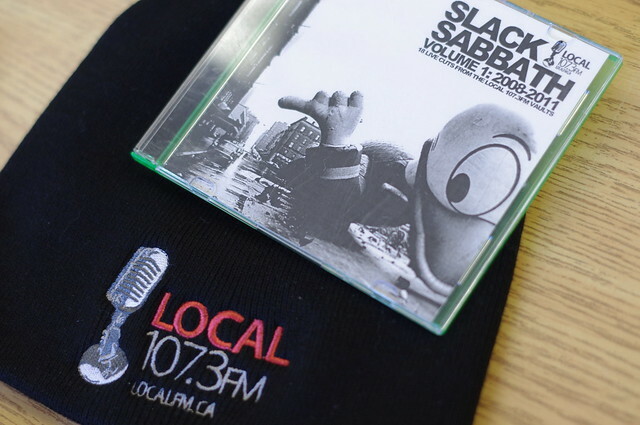 + a Local 107.3 FM Toque and a copy of SLACK SABBATH, which is a compilation of local bands playing on campus. It’s awesome.